After the sun went down, we spent some time in my craft room doing a little art project together. Juniper picked the paper, I cut out the sky and she glued it down. Then we drew little pictures of our family. I drew me and Flynn, and she drew her and Daddy. (Can you tell??) 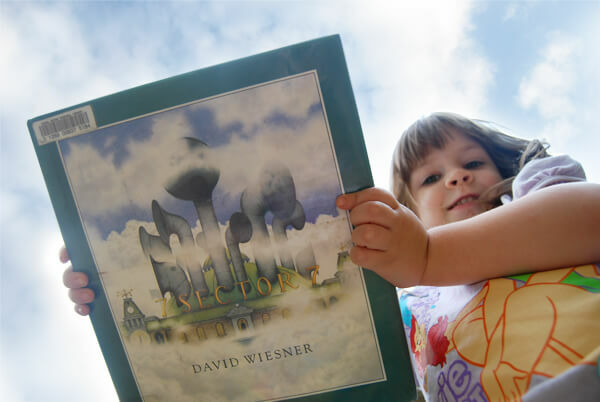 I told her we could make the cloud any shape she wanted, just like in the book, and she chose a heart. 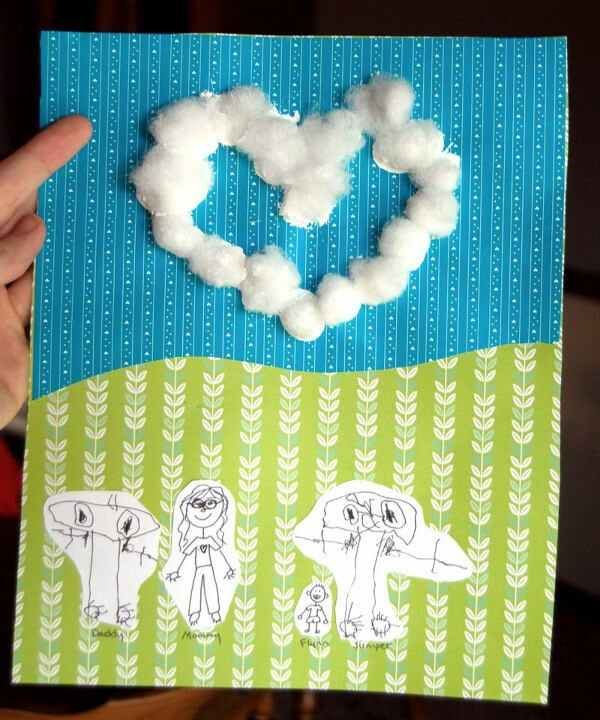 Then I drew a big heart in the sky and she glued down cotton balls around the shape. Well, I didn’t have any glue or cotton balls, so she used white paint and balled up pieces of stuffing. Whatever works. 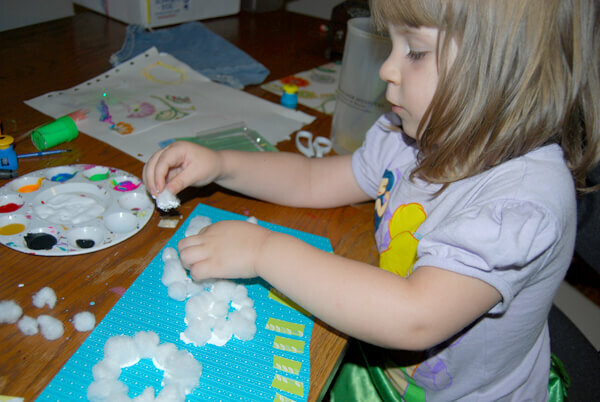 When we were done, Juniper glued the rest of the cotton balls down on some scrap paper, in all sorts of shapes. I LOVE this picture! For so many reasons. I love the big heart cloud, and her silly drawings. And I love that we made it together. Usually I try not to push Juniper in any particular direction when we do crafts because I want her to develop her own creativity. But I really enjoyed making this WITH her. We talked about each step and made decisions together. And it turned out SO STINKING CUTE! I just love it so much. I’m going to keep it forever and ever.